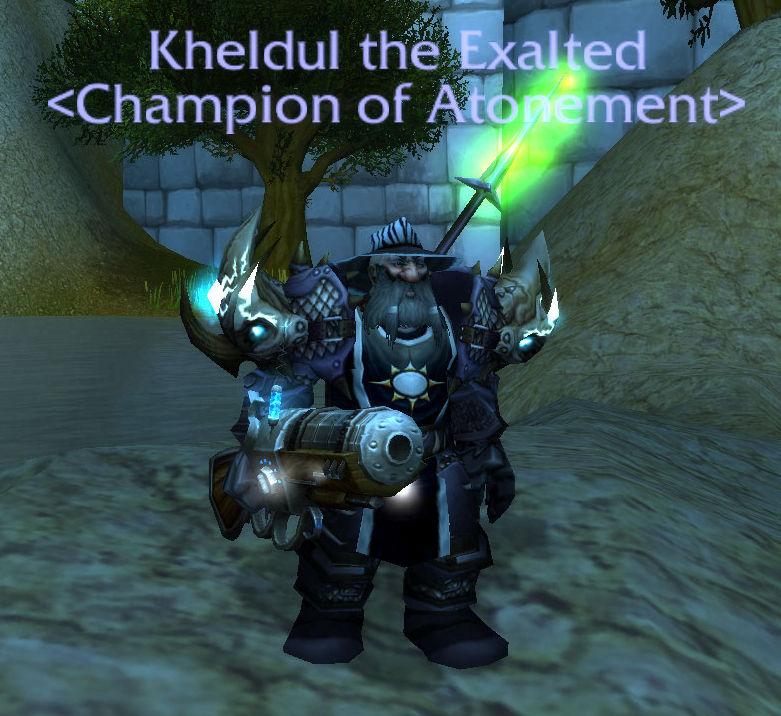 A couple weeks ago Kheldul came across the Stylin' Adventure Hat. The concept was good. A hunting hat. It's mail. Transmogrifyable. He thought it was neat and was taken by the abstract notion until he looked in a mirror and saw a dwarf pimp. Not a good impression. The big game hunter hat with wide sun-protection brim. Then Kheldul came across a very interesting rare spawn and got a very interesting drop. Very interesting. 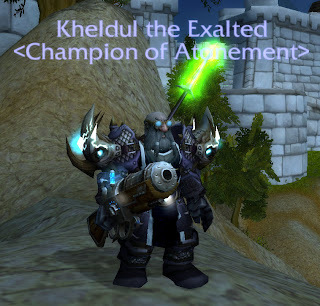 So interesting that he decided to transmog his wolfsniper rifle into a steam-punkish zapper and clean up his comb-over. He now was considering going all steampunk. A snug fit. Very monogoggle. Kheldul is not an engineer. The solution to the monogoggle issue was not at hand. All mail goggles are made by engineers and only wearable by engineers. The simple solution would be to drop mining and level engineering. But that would be too simple. Kheldul did some research. 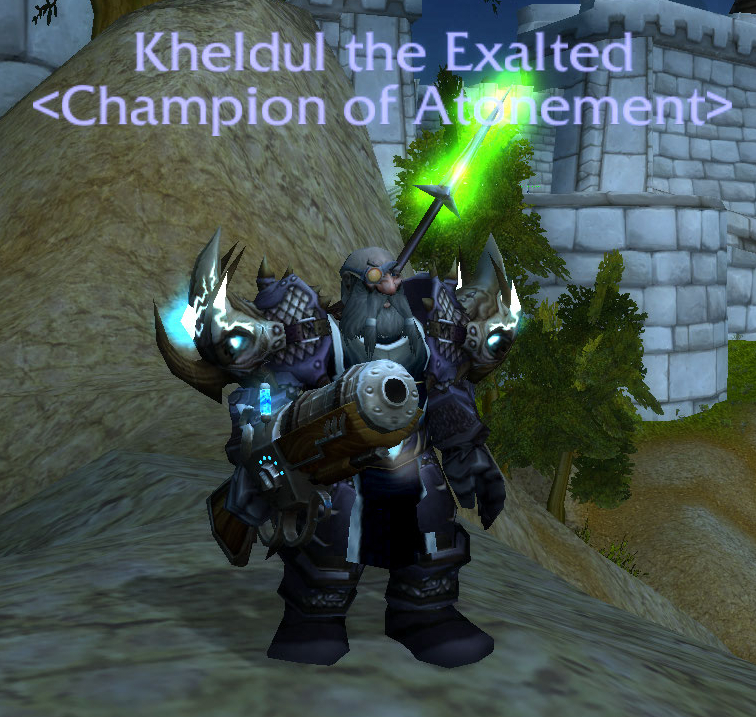 He found that the 25man Ulduar Flame Leviathan boss has an interesting and unique drop. He drops the only mail goggle/glasses in the game that are wearable by non-engineers. So that's where he was last night. They appear to fit quite well. For now. Kheldul cares about proper eye protection. I too like the looks of goggles. I've been thinking for years that perhaps I should change to engineering. So far I haven't, cause of profession buffs. But I'll do a rethink when they reveal profession bonuses for MOP.